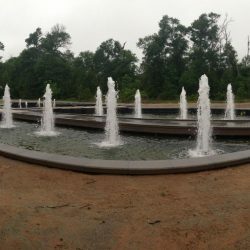 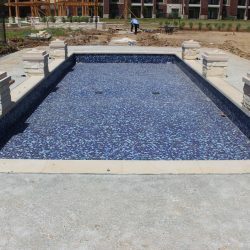 As an industry leader for pool design and construction, Texas Coast Fountains & Pools Inc. is also well-equipped to design and install custom fountains in Manvel, TX. 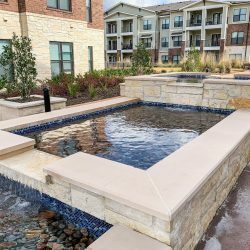 We have experience bringing beautiful fountains to life on both residential and commercial properties, and can integrate our creations with your landscaping or existing pool system. 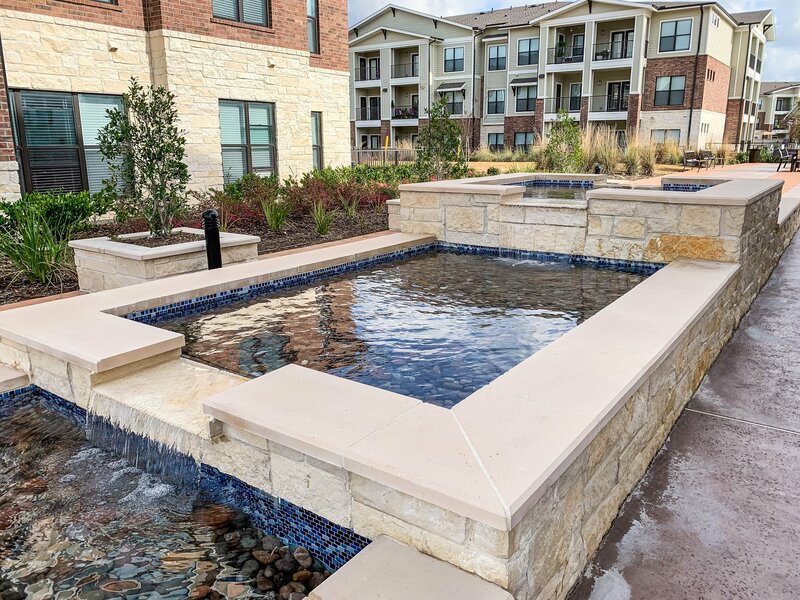 Whether you’re looking for a beautiful focal point at the front of your commercial property or a lively addition to your home’s dream pool, we’ll design a custom fountain that exceeds your highest expectations. 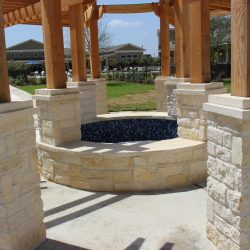 Our specialty is building beautiful commercial outdoor water fountains in Manvel, TX, and we’ve got a wide body of work to prove our capabilities! 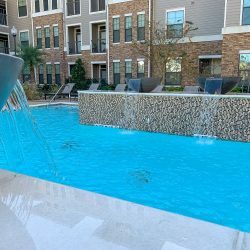 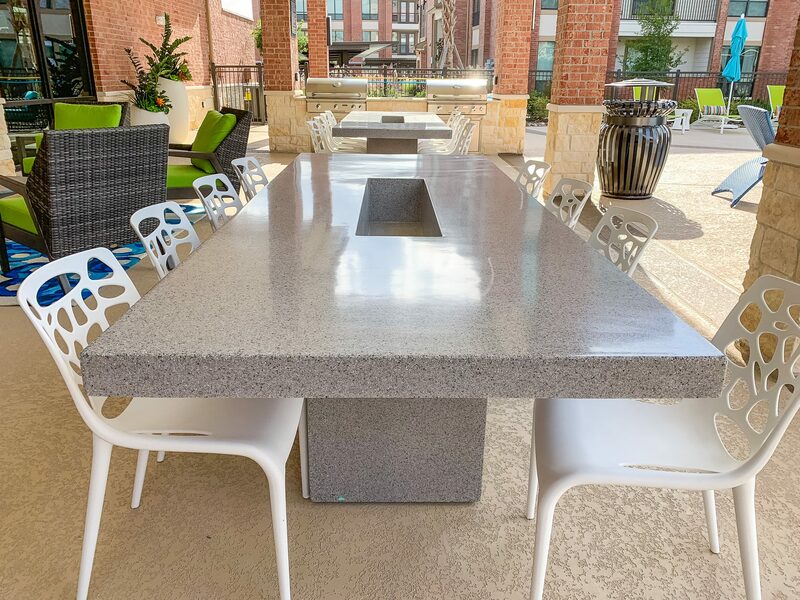 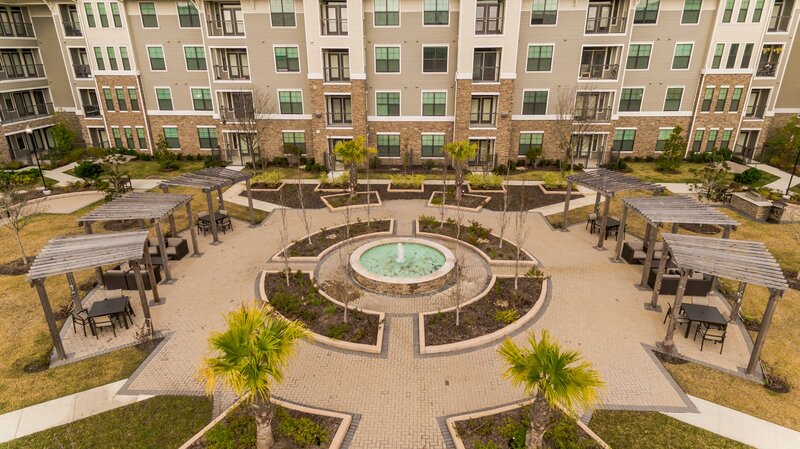 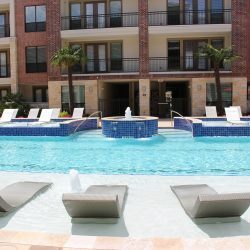 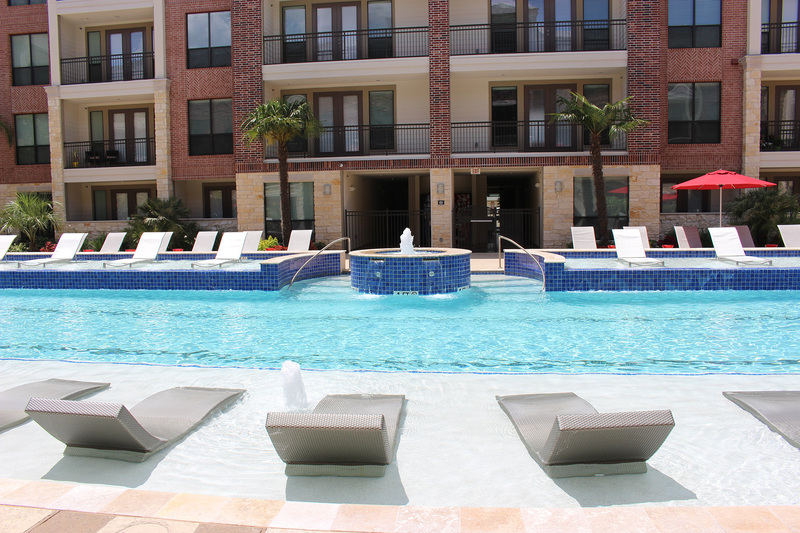 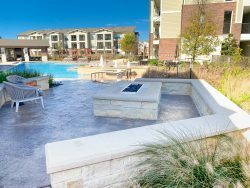 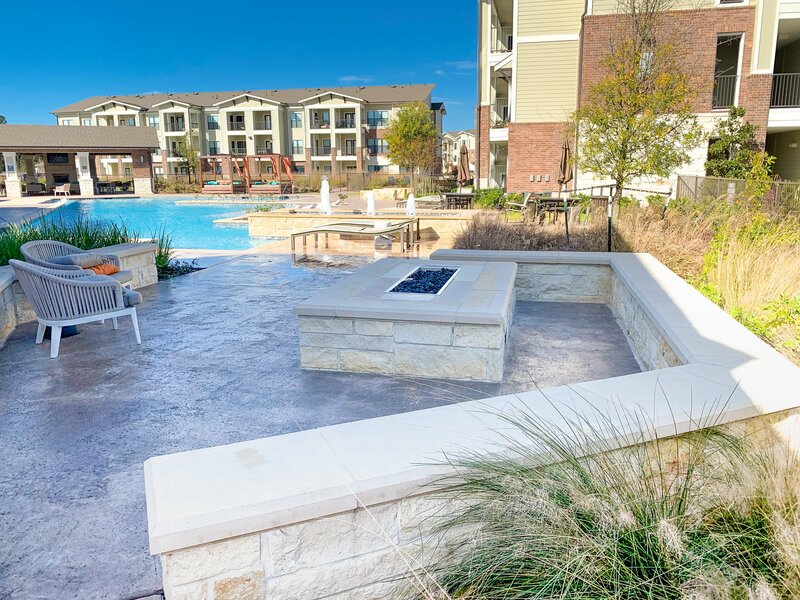 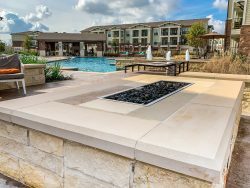 You can see our workmanship and attention to detail in fountains such as those at Radius Shadow Creek Ranch, Mariposa Apartment Homes at Pecan Park and the Imperial Lofts at Sugar Land. 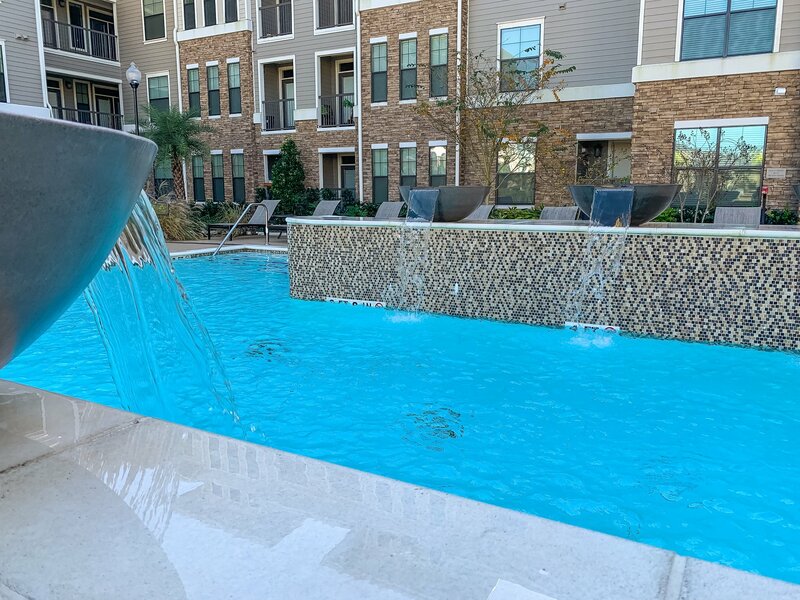 Our fountains are constructed to be both an eye-catching feature on your property, as well as a seamless part of your overall property design and aesthetic. 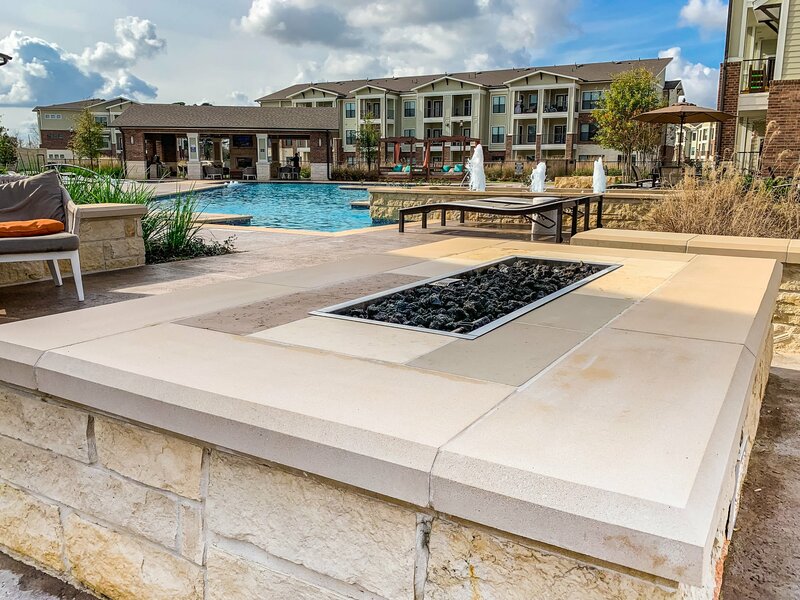 Whether it’s in addition to your pool or as a standalone focal point, we guarantee it’ll bring a level of prestige and allure to your commercial landscape. 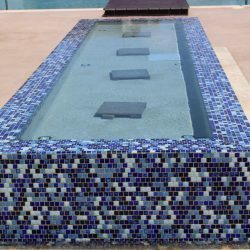 When you choose us for a custom fountain, you’re getting a complete installation. 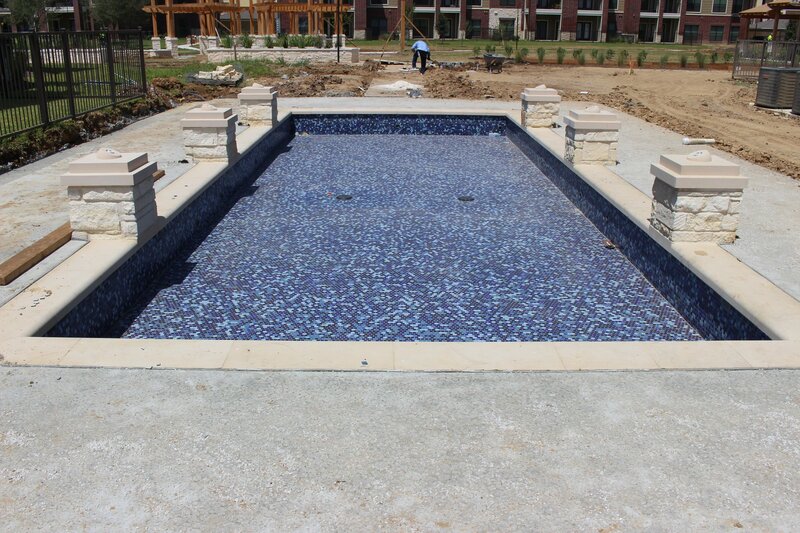 We handle every part of the process, from site preparation and paving, to plumbing and lighting, to whatever else your fountain demands. 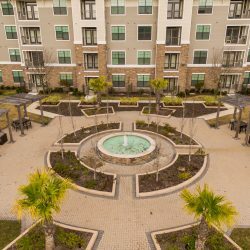 Instead of having to deal with multiple contractors and companies to get your fountain, we’ll be your single point of contact, always keeping you apprised of the process and guaranteeing superior results. Add some warmth and comfort to your outdoor living space with a custom fire pit. 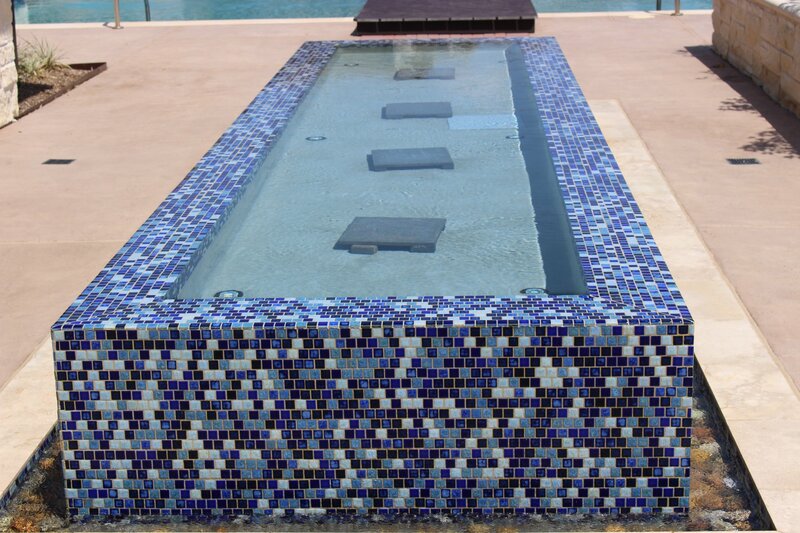 Our designs include traditional to modern, contemporary to trendy that complement any patio, deck, pool, or backyard. 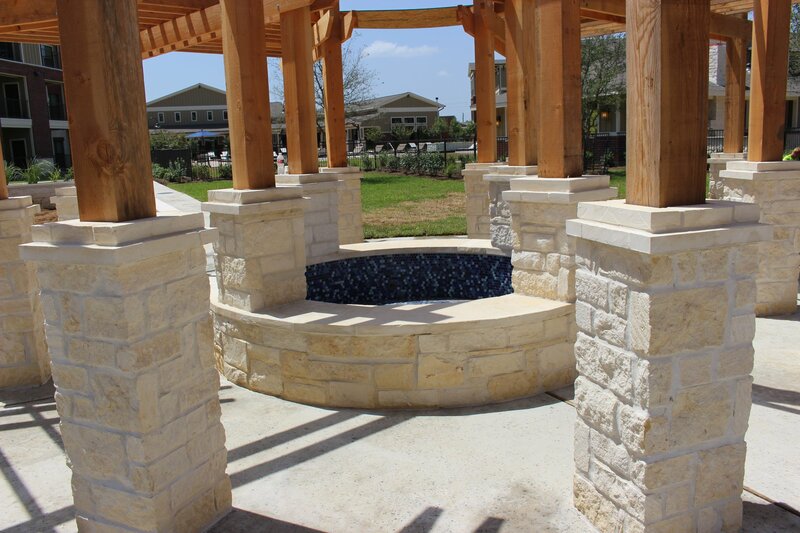 Texas Coast Fountains & Pools Inc. is ready to recognize your vision for a beautiful custom fountain. Let us work with you on the design and construction, so you get a beautiful work of art on your property that looks great for decades to come. 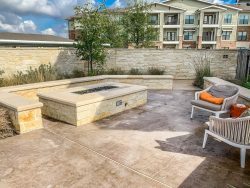 Reach us today at 281-519-8803 to begin planning.